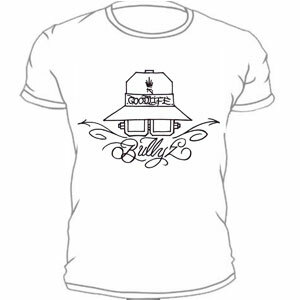 Cali Classics presents the original Goodlife Bullyz shirt. Specify size with order. Allow 2 weeks for delivery. E-mail if you have any issues with your order. Shipping is $6 plus $1.25 for each additional item in the US. International shipping is $8 plus $3.00 for each additional shirt. Rifleman/Ellay Khule On-line Store. All Rights Reserved.